Moving into or out of a new home is always somewhat of a stressful experience. Making sure to take the time to ensure everything is safely packaged and packed up in order to survive the actual moving process can be a worrisome affair, even at the best of times, and if you have a pool table, the process can be that much more difficult. While it might be tempting just to hire a group of movers to transport your pool table for you, the process of safely transporting a pool table is a little bit more difficult and technical than you might think at first. Here at The Pool Table Pros, we make it our mission to ensure that you get the service you need to keep your pool table in the best condition at all times, and that includes when you are moving it from house to house, or if you are planning on moving your table to or from storage. To help highlight just why hiring a professional when moving your pool table is so important, our team of experts have taken the time to put together this short list that we hope will shed a little bit of light on the matter. While it is fairly easy to see why moving a pool table could be a difficult task, you might be surprised to find that it can also be a fairly dangerous task as well if you aren't completely sure of what you're doing. During the moving process, it is extremely easy for your table to suffer additional damage if it has any issues that might have been overlooked, like cracks in the wood or breaks in the joints. During the course of your move, our team of San Jose pool table professionals will give your table a thorough inspection to make sure none of these issues are present, and if they are, we will take special care to make sure they aren't made any worse through the moving process. With the average pool table weighing in at over 800 pounds, pool tables generally have to be broken down in order to be moved safely, and this means that they are going to need reassembly when they make it to their new destination. When you are taking your pool table apart, or putting it back together, you always want to make sure that the work is being done by a professional who is familiar with how to get the job done, and make sure it's done right. Here at The Pool Table Pros, our team of pool table professionals will ensure that your pool table is dismantled and packaged safely to ensure it arrives at your new home in good condition where we will work to quickly and accurately reassemble it for you. 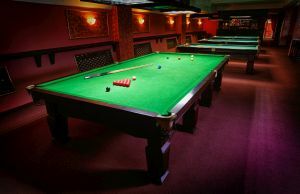 Once your pool table finally arrives at its new location and is properly reassembled, there is still the issue of making sure that your table is ready for play. After moving and reassembling your table, you are going to need to make sure that your table is properly rebalanced and leveled before you are going to be able to enjoy a game. After finishing your reassembly, our team of professionals will ensure that your table is properly balanced and leveled to be ready for play as quickly as possible. If you need to move your pool table, then please call our reliable San Jose pool table professionals at 408-499-6300 or complete our online request form.